Action Today Builds Our Future. Awareness is spreading like wildfire and it seems the people of the world have had enough. It is incumbent upon each of us to make ourselves aware of the harsh reality of trafficking and abuse…which not only claims millions of souls each year…but is the second most profitable industry on earth in the 21st century! 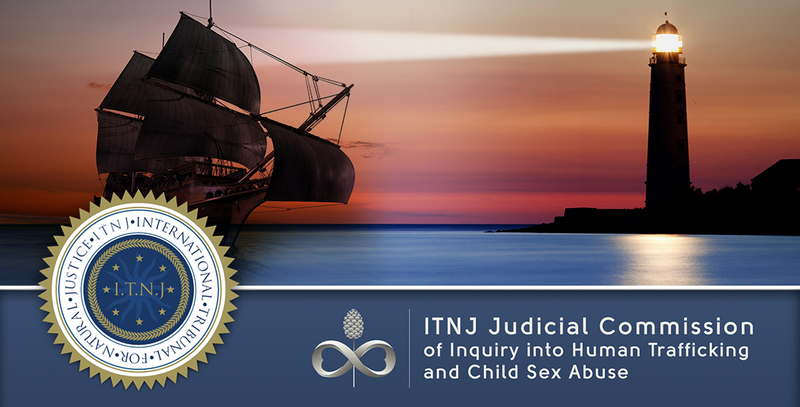 The ITNJ now stands sentinel as the shining beacon of truth and reconciliation in a world where law has become commerce and justice become the most corrupted pillar of our civilisation. This the first truly independent Judicial Commission of its kind, and has garnered tremendous international political and diplomatic advocacy. To see the foundations and history of the International Tribunal for Natural Justice, we direct your attention to The Sovereign Voice Magazine. The 2015 Commemorative Issue is full of articles, and filled with images and videos from the ITNJ Inauguration and Ceremonial Seating which took place in Westminster, London. Chief Justice Sir John Walsh of Brannagh — Barrister-at-Law,(Kings’ Inns, Dublin), Notary Public (Canterbury) International and Constitutional Lawyer. Robert David Steele — Fmr. Operations Officer (C/O) in the Clandestine Service of the Central Intelligence Agency. His Grace Bishop Riah Abu El-Assal — Fmr. 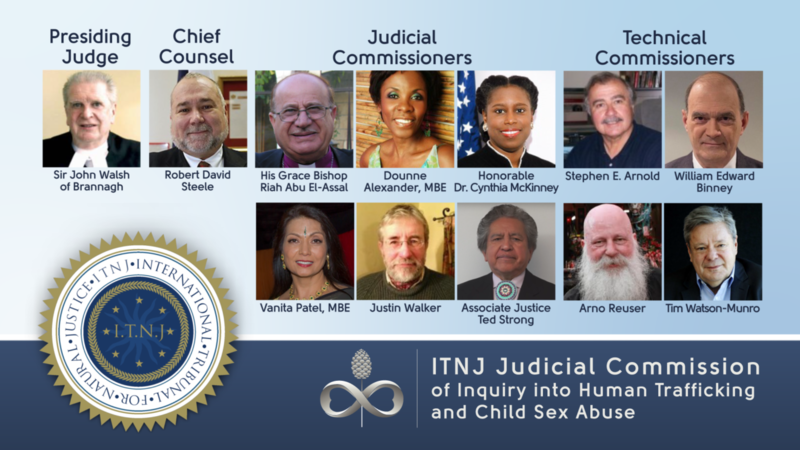 Bishop of Jerusalem, ITNJ Commissioner leading the ITNJ Truth and Reconciliation Commission. Dr Cynthia Ann McKinney — Fmr. six-term US Representative for the State of Georgia, former US Presidential candidate for the Green Party. Vanita Patel, MBE — Patron and Supporter of Anti-Slavery International, awarded MBE for her work in educating on and eradicating human slavery. Justin Walker — Campaign Director, British Constitution Group, Fmr. Commissioned Officer: Yeomanry regiment (TA). Stephen E. Arnold — Law Enforcement Trainer on Deep Web Discovery / Sense-Making Tools. William Edward Binney — Fmr. Technical Director National Security Agency; architect Thin Thread program within the rule of law, founder Pretty Good Knowledge.